This birdie looks a bit tired and doesn't show its pretty crown of feathers. It was early in the morning and perhaps it had rained. Anyway I shot this picture through the small window of our guest bathroom, which allowed me to get pretty close. 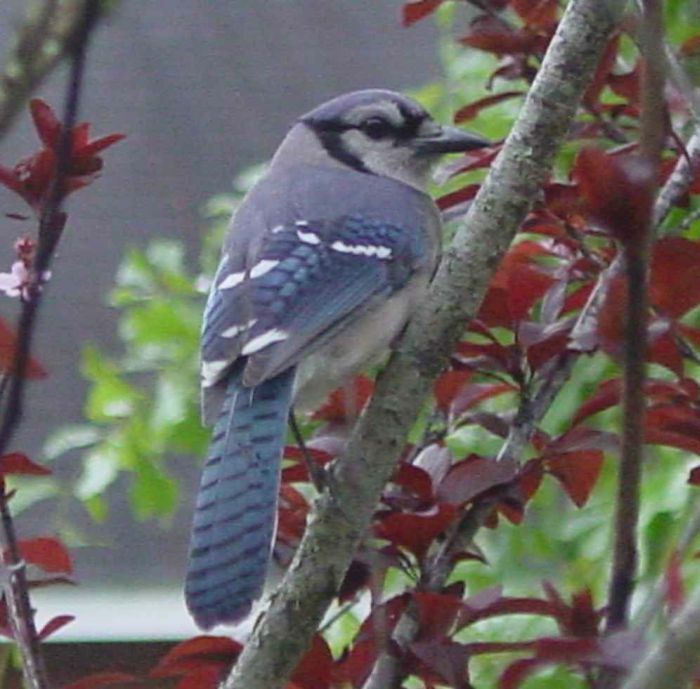 Blue jay (Cyanocitta cristata). These birds are rather loud and can imitate other birds (hawks) as well as human voices (this one didn't).